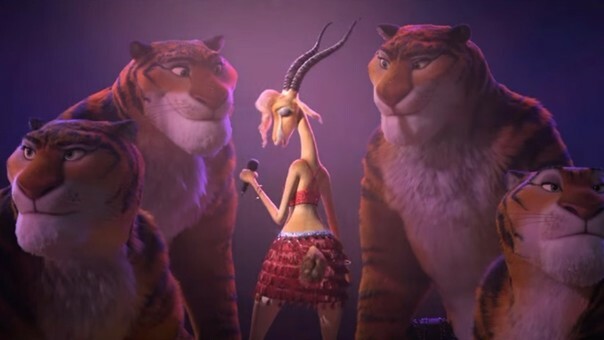 I really enjoyed Zootopia. It was well-written, beautiful to look at, creative, poignant: I don't have enough adjectives to describe it. I thought it would be fun to make a costume from the film, and settled on Gazelle. 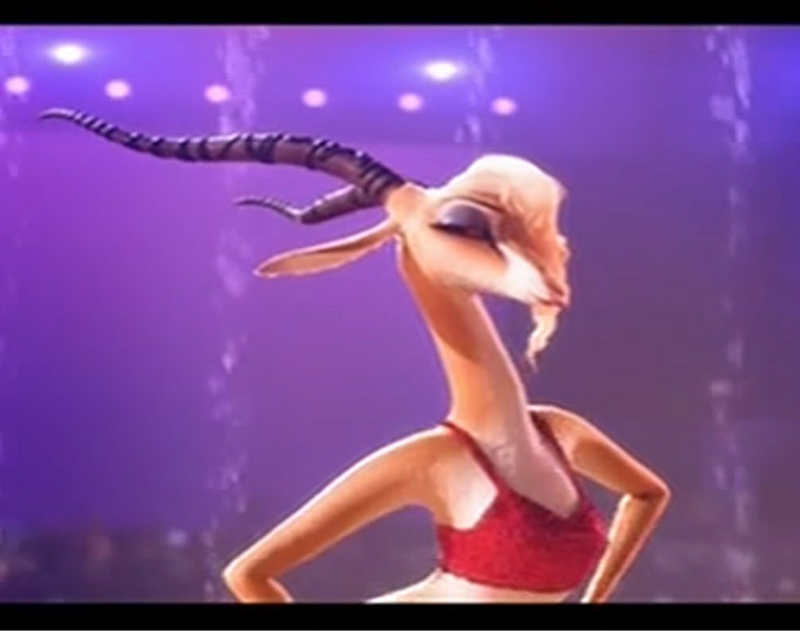 I liked Gazelle's design: simple and elegant. I also wanted to try making the horns, which I've never done before. 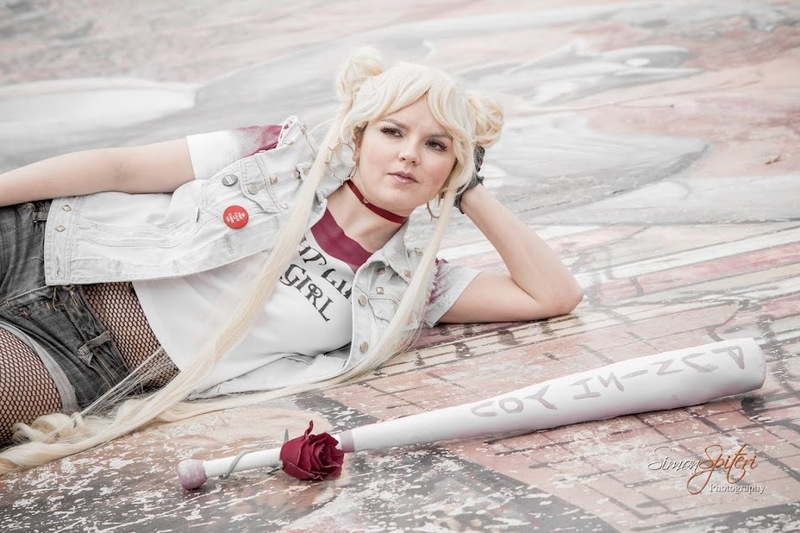 It was quite easy to break down the design into its basic elements: crop top, skirt, shoes, leg-warmers, horns, microphone, bangles, and hair. 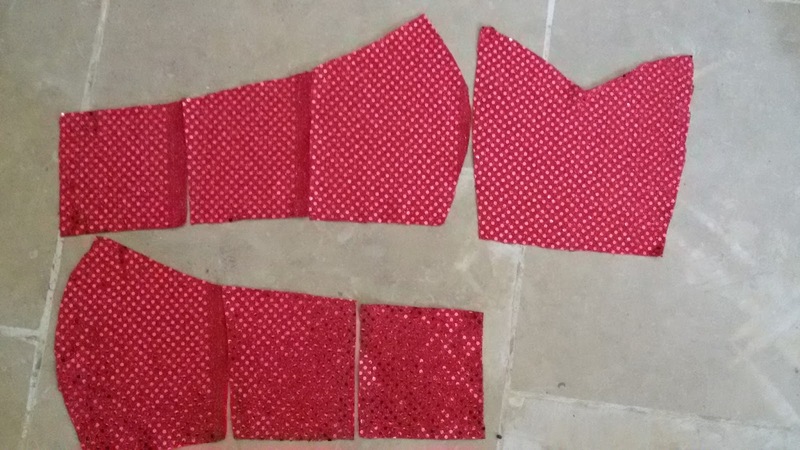 The first step was to cut out the pattern pieces. I used a simple princess seam bodice, cropped to the correct length. There's a layer of stretch satin as the base. 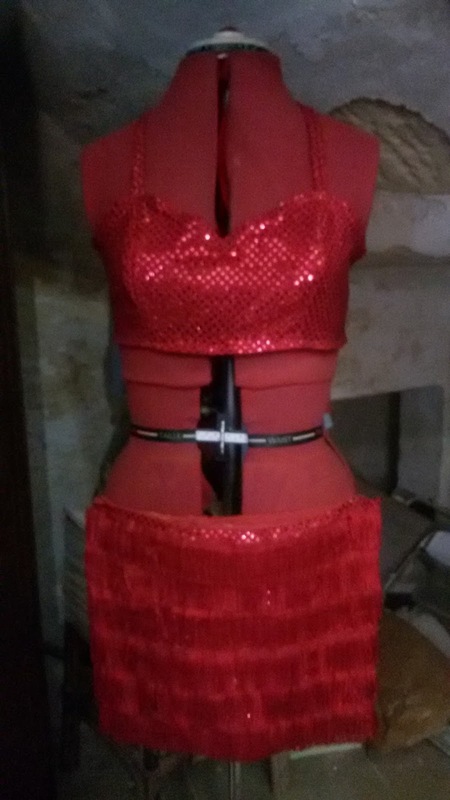 The outer fabric is this strange sparkly material from the costume section of the fabric shop. 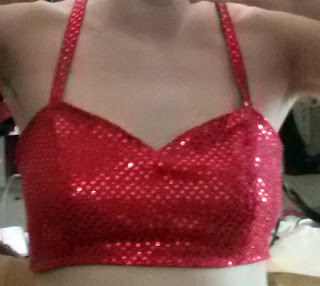 It has little foil dots on a stretchy material. It photographs well and is easier to sew than sequin material. Sewing Harley Quinn's shorts put me off using sequin material for a while: too much time spent removing sequins from the seam allowance. I used spray adhesive to attach the stretch satin and sparkle material together. 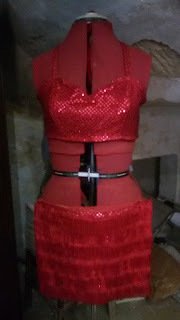 The satin is a lot comfier on the skin than the sparkly material, and helps to add some structure. 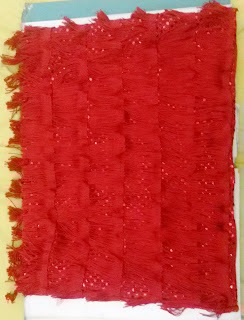 The straps are just strips of material with the edges folded under and sewn down. There's a layer of jersey on the underside to make them comfortable. I didn't take enough photos while I was making this, but I'll summarise. 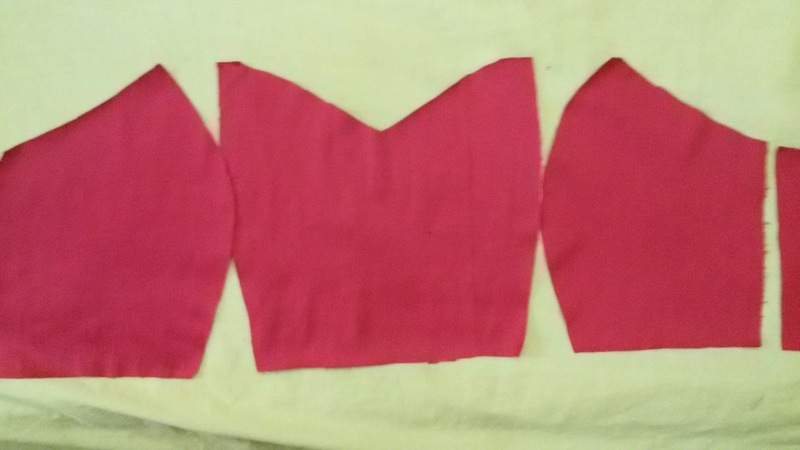 The skirt pattern was traced from a skirt I already had. 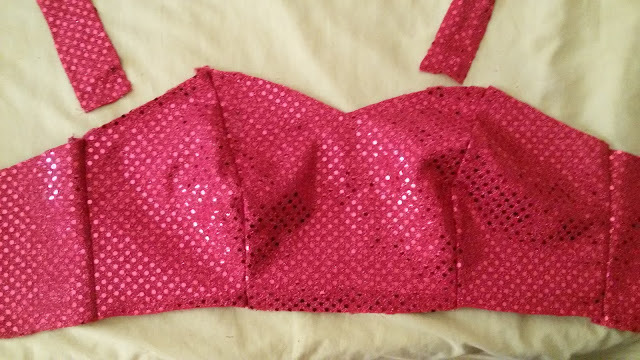 I traced the pattern on to some jersey, cut that out, then used spray adhesive to glue it to the sparkly material. 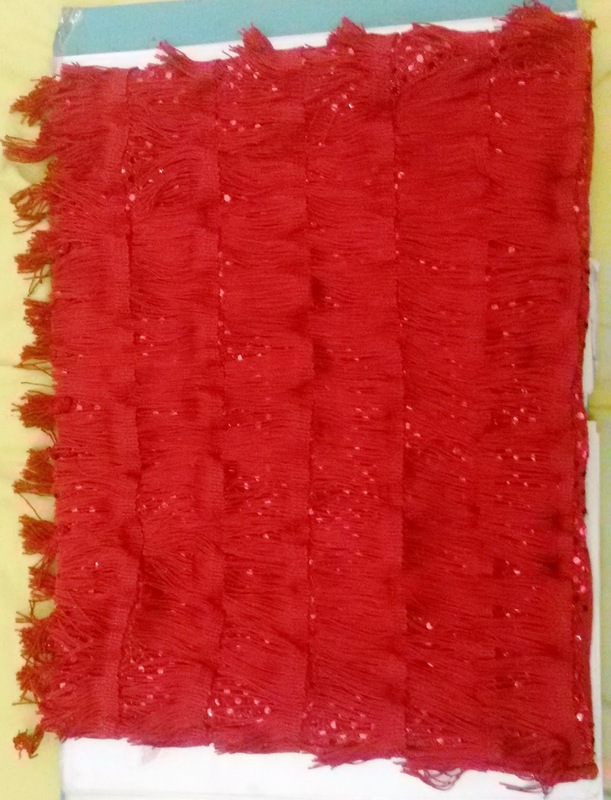 Once that was done, I drew lines where I wanted the fringe to sit, and sewed it on. 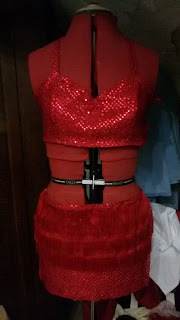 To sew on the fringe, I used a zigzag stitch, and stretched the skirt material as I sewed. 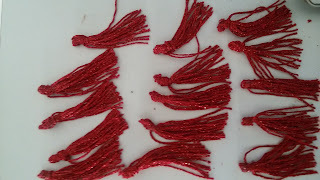 Once all the fringe was sewn on, I made several tassels from crochet yarn, and sewed them on by hand. Very easy to make. 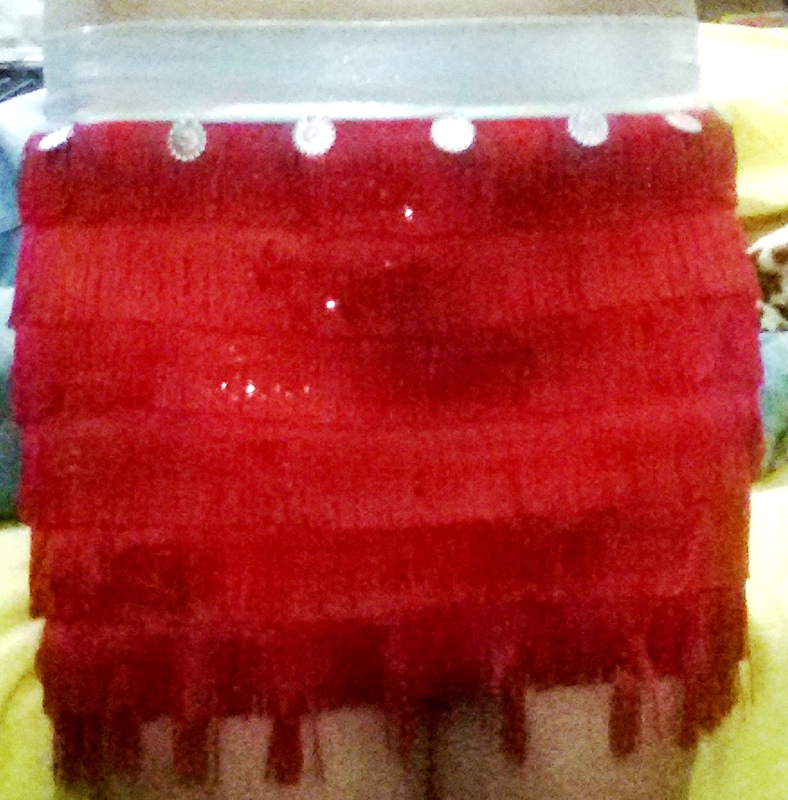 Just rectangles of fabric (also jersey with sparkle fabric glued on with spray adhesive) pinned to fit my leg. There's elastic at the top and bottom to keep the legwarmers in place. 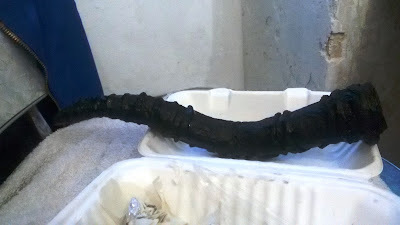 Instead of using modelling clay, I scrunched foil into a horn shape, and also used a card roll for the base of the horn. 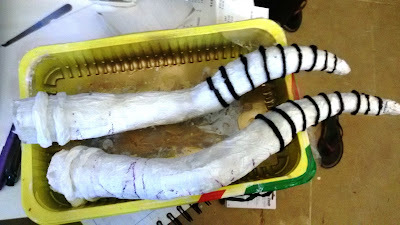 I wrapped the horns in masking tape, then began to apply paper mache. 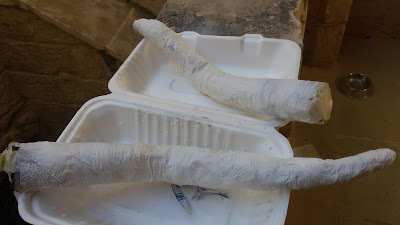 To get the spirals, I used three different methods. The smallest ridges at the top were created using 3D paint. 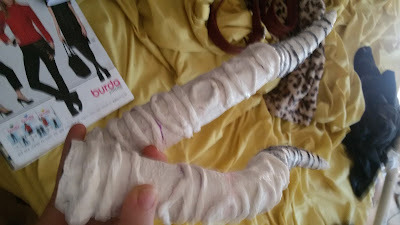 The middle sized ridges are made by gluing yarn around the horn. The largest ridges are made by soaking toilet paper in white glue/water mixture, rolling it up, and applying it to the horn. 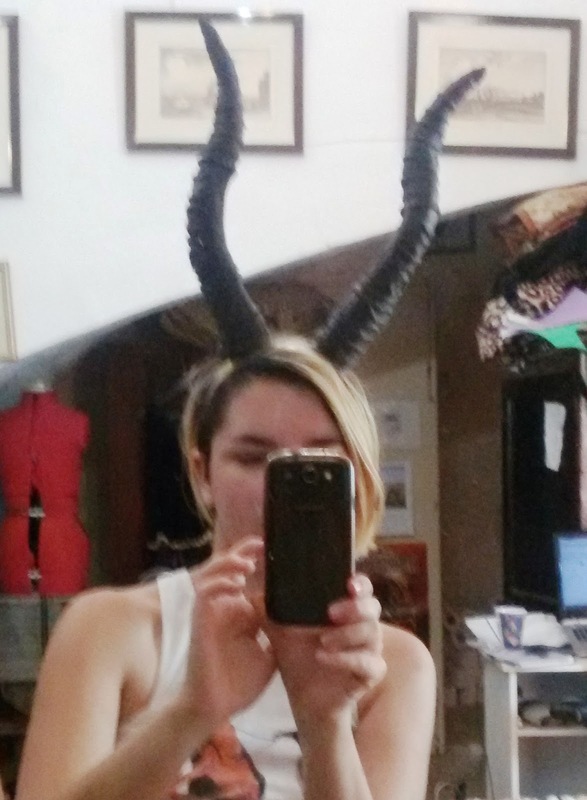 After several layers, I had a very sturdy pair of horns. I painted the horns with a mixture of acrylic paint and PVA glue. 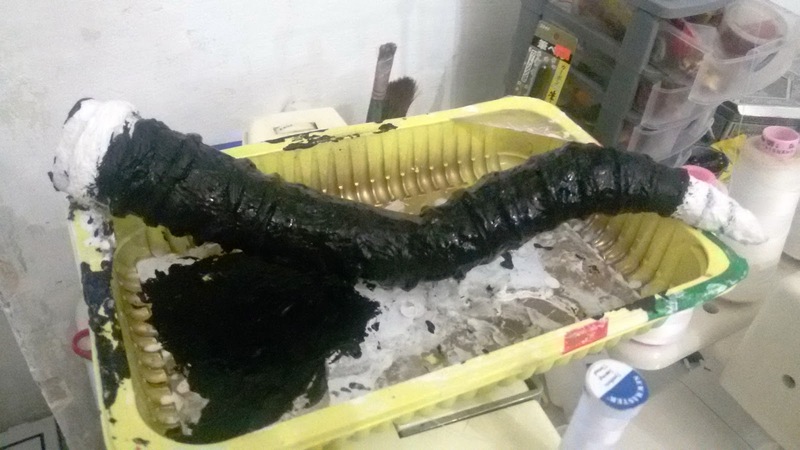 Once the first coat was dry, I drybrushed brown acrylic paint on to the horns. 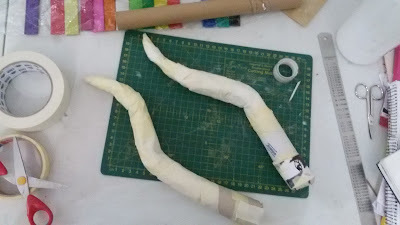 The last step was the hot glue the horns to a large hairband. They look pretty good, though they threaten to fall off if I tip my head too far forward. I'm gluing on some wig hair to the hairband to help camouflage it.